FOX Sports and Premier Boxing Champions today announce exciting preview programming leading up to the FOX PBC FIGHT NIGHT on Saturday, Dec. 22, including the PBC COUNTDOWN and PBC FACE TO FACE shows. Before Jermall Charlo defends his WBC Interim Middleweight title against top-rated contender Willie Monroe, Jr., and Jermell Charlo makes the fourth defense of his WBC Super Welterweight championship against hard-hitting former title challenger Tony Harrison on Dec. 22, fans can watch these shows to learn more about the boxers and what motivates them heading into these title fights. The programming kicks off on Saturday, December 8, with PBC COUNTDOWN: JERMALL CHARLO VS. WILLIE MONROE JR. premiering on FOX at 11:00 pm ET/PT. In this episode, the show goes behind the scenes at home, and in the ring, with middleweights Jermall Charlo of Sugarland, Texas and Rochester, New York’s own Willie Monroe Jr. It’s an up-close look as each prepare in their own way for the upcoming fight for Charlo’s crown. 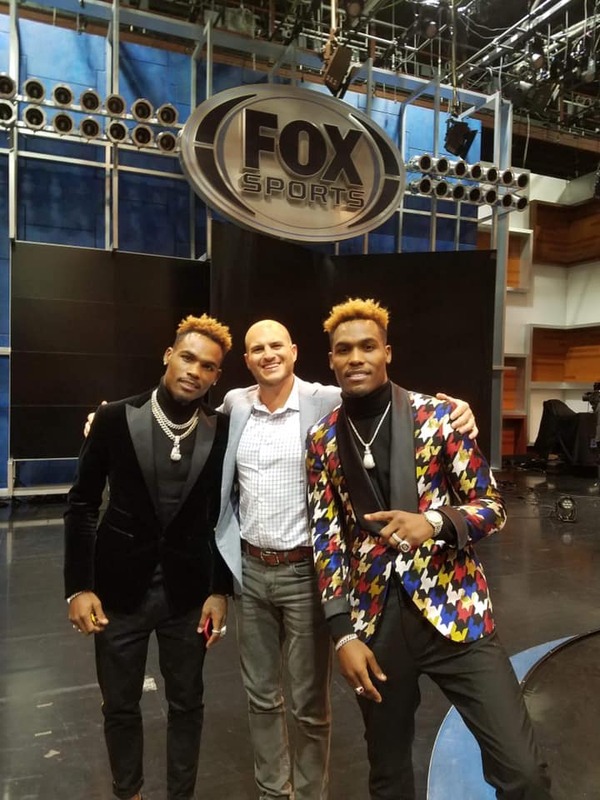 The following week, PBC FACE TO FACE: JERMALL & JERMELL CHARLO premieres on FOX Saturday, December 15 (2:30 PM ET). Hosted by FOX Sports Boxing Insider Mike Coppinger, Jermall and Jermell discuss the origins of their brotherly competition and their long roads to stardom ahead of their upcoming title fights. With the recently announced deal, the FOX broadcast network and FOX Deportes will feature 10 marquee fight nights in prime time each year, while FS1 and FOX Deportes will telecast 12 fight nights annually. The Emmy Award-winning FOX Sports production team will produce more than 175 hours of original PBC boxing content per year across its channels, including the PBC COUNTDOWN and PBC FACE TO FACE shows prior to all fights.